Why do some jokes evaporate after the telling while others are transmitted to subsequent generations? Just what property of humor allows it to touch diverse members of a culture at a given time? As a penetrating and refracting angle of history, humor illuminates the expectations and contradictions of society, its anxieties and confusions, and permits perspective into any historic moment. 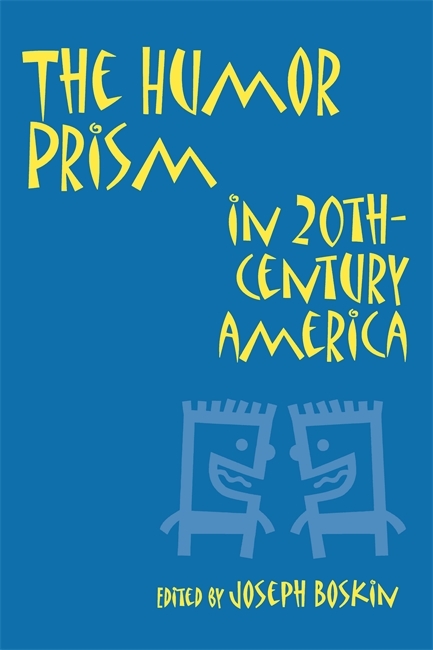 The Humor Prism in Twentieth-Century America explores to what extent and in what ways American humor in the twentieth century reflects history, examining the dynamics and disguised messages behind humor. The first section of this volume concentrates on patterns of humor in the twentieth century. Section two looks at the power and politics of women's humor, and at multicultural humor. The final section presents and evaluates the major joke cycles from the post-World War II period to the 1990s as responses to profound social and economic change, such as Polish jokes and JAP jokes. Joseph Boskin is a professor of history and African American studies and director of the urban studies and public policy program at Boston University. He received his Ph.D. from the University of Minnesota, and is the author of SAMBO: The Rise and Demise of an American Jester and Into Slavery.